Living in London, the defining perfume of my past few years here has been Molecule 01 by Escentric Molecules. Not a day goes by that I don't nab a whiff of a waft of "the little aromachemical that could" in the city's streets and tubes, galleries and supermarkets. I smell it in double-kiss hellos with film editors, yoga teachers and pop stars' himbo consorts. My friend Brix Smith Start sprays it with a free hand in her Start boutiques, and provides a Molecule 01 logbook for visitors to share their Mol 01-scented adventures. Another friend, the artist Caragh Thuring, has hit upon a masterful combination of Chanel Cristalle and Molecule 01 that sounds like blasphemy, but smells like heaven. And every single time I'm browsing in Liberty's seductive perfume room, I witness eager shoppers snatching up boxes of the stuff. It's easy to see the appeal: Molecule 01 is a one-size-fits-all scent. It works on both women and men, simply and without pretzel-like contextualization. It's a daytime/nighttime/spring-to-winter winner. And everyone agrees that it smells great. 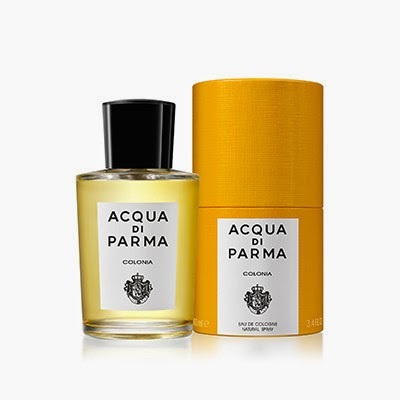 All of which can be said for Colonia by Acqua di Parma. Like Molecule 01, it was adopted by tastemakers and beauties, along with the frothiest cream of Hollywood. Cary Grant, Audrey Hepburn, David Niven and Ava Gardner were among those said to be partial to Colonia's blur of aromatics, citrus, rose, jasmine and musk. David and Ava cavort in a sea of Colonia. Niven is narked by Grant's appropriation of his sig scent. "Audrey, are you wearing my Colonia again?" Colonia: the Molecule 01 of classic Hollywood...and beyond. David Niven and Ava Gardner filming The Little Hut. 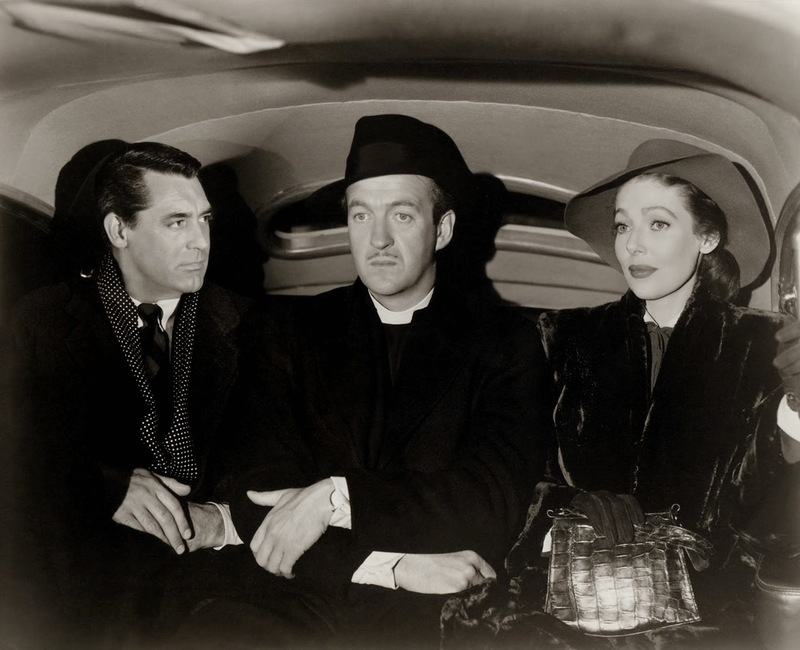 Cary Grant, David Niven and Loretta Young in The Bishop's Wife. 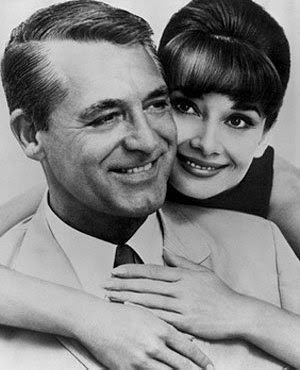 Cary Grant and Audrey Hepburn circa Charade. I used to like Cristalle, but they seem to have changed the recipe as the last time I tried it, it wasn't the same as I remembered. I haven't knowingly scented Molecule 01 but have heard of it. Do you recommend any of their others? Catherine, you're not the only one who has noted the recipe change on Cristalle. Yet another perfume subtly morphing into a room-freshener version of its former self. It's still pretty, but any hint of grit has been scrubbed away. Molecule 01 is a straight-up cedarwood/sandalwood smell. Many of its fans use it as an all-purpose fragrance condiment worn along with their favorite perfume. Kind of a "wood sauce", if you will. Molecule 02 is simple in the same way, but it's a synthetic ambergris, and Molecule 03 is a synthetic vetiver. Escentric 01 and 02 didn't grab me, but I think Escentric 03 is a breezy and appealing freshy-vetiver number. But you're still better off wearing Cristalle or Diorella...with perhaps a dash of "wood sauce". Hi Katie: Sounds like Colonia might be a bit like Dior's Escale a Portofino which I like very much. I also have a bottle of Aqua di Parma's Magnolia which is also a nice scent. And after your review I think I'm ready to try the Colonia which sounds delicious! You're right, Colonia is right in the pocket with Escale a Portofino's magic. My Molecule 01 is what I wear for my hiking trips. And to my dentist; I have a theory that he does a better job when I smell nice - but not so nice that I destract him in his work... Portrait Of a Lady is not coming with me to the dentist, for sure. Colonia sounds a bit more glamorous than Molecules - I will check it out! Mol 01 is a good choice for a hiking fume. The low-key woodsiness doesn't interfere with Mother Nature. I like the psychological trick of inducing good dental care by smell manipulation! Oh gosh, Cashmere Mist is terrible, isn't it? It just smells like hairspray to me - I don't get it. Whereas I do smell an actual pleasant odor from Mol 01 once it settles in. My friend uses Cristalle EDT, which is the original concentration, if not formulation, since long time users agree it's been fiddled with. I wore Cristalle back in the 70's and recently purchased the new EDT version. It may have more citrus in in than the original, but I still like it very much. I just wish it lasted a little longer. I had actually purchased the EDP first (by mistake) and didn't really care for it. There's something just wrong about that Cristialle EDP - it's a remix that emphasizes all the wrong things. Trying to make this shimmering, sheer wonder of a perfume a thick powerhouse. Hessa, just as you say, where is the fun if you can't even smell your own perfume? We're all wired a little bit differently to each other, and not everyone can pick up on the same smells. And the kooky thing about Molecule 01 for me is that I can only smell it intermittently if I'm wearing it. But when I walk into a room where someone's sprayed it, it's omnipresent and persistent as all get-out.